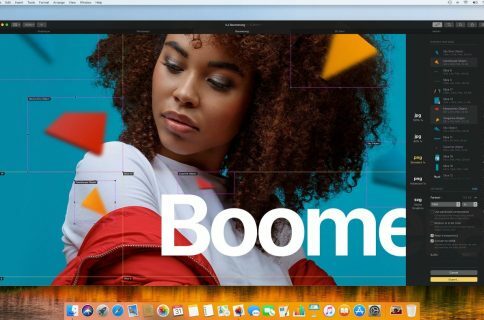 The Pixelmator team today pushed a 3.7.1 update to its awesome Photoshop replacement app on Mac App Store, adding support for exporting images in Apple’s new HEIF format introduced alongside iOS 11 and macOS High Sierra last year, plus some new effects and a bunch of fixes. I use Pixelmator in my work on a daily basis and couldn’t be happier with the app. The new version also brings one small yet important change: now you can finally use the popular Vignette effect to artistically fade and soften the edges of an image. If you use Pixelmator’s extension to touch up the images in the Photos app using its custom Retouch tool, you can now adjust brush softness using the Shift-[ and Shift-] keyboard shortcut. With HEIF support, Mac users on High Sierra and older editions can now batch-convert their JPGs using the Pixelmator app to the space-saving HEIF format (the .HEIC extension). Compared to JPEG, HEIF produces half-size images without visible quality loss. Neither JPG nor HEIF is a lossless format so compression artifacts are unavoidable. That’s why it makes more sense to convert images from a lossless format such as PNG to a lossy format like JPG or HEIF than transcode from one lossy compression to another. iOS 11 and macOS High Sierra introduced basic support for the HEIF format, but it was limited to opening files in Apple’s apps like Photos, Preview, QuickTime and Quick Look. 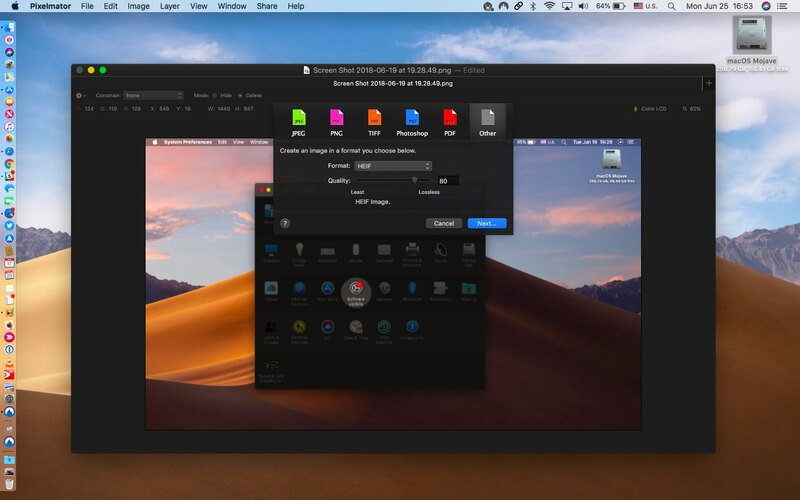 Exporting in the HEIF format using these system apps requires macOS Mojave. Export images in the modern High Efficiency Image File (HEIF) format to reduce their file sizes without losing visible quality. Use the Vignette effect to artistically fade the edges of an image. 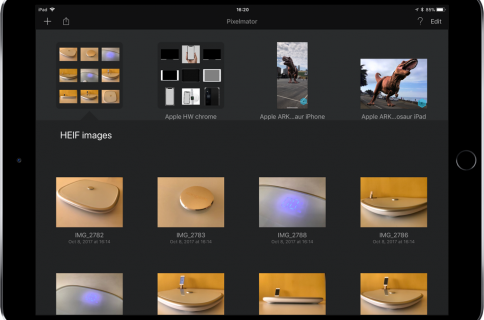 Fixed various issues with Pixelmator Retouch and Distort extensions for the Photos app. When using the Pixelmator Retouch extension, you can now adjust brush softness using the Shift-Square bracket keyboard shortcut. Pixelmator would sometimes quit unexpectedly when zooming or opening images. Fixed. Importing brushes, gradients, or layer styles would sometimes cause Pixelmator to quit unexpectedly. Fixed. When scaling selections, the Constrain Proportions checkbox will now be unselected by default. Fixed an issue with the layout of options in the Save dialog. In macOS 10.13, the Web Colors tab has disappeared from the Colors window due to sandboxing issues (don’t worry, there’s a way to get it back). This update is provided to existing users of the app at no additional charge. Pixelmator is $29.99 on Mac App Store. 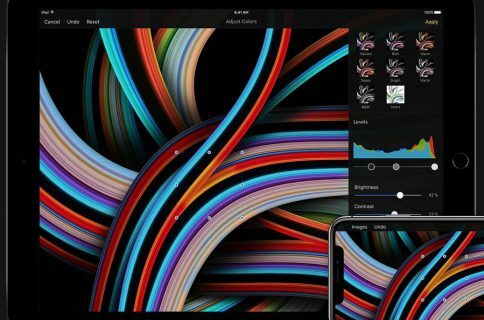 A more powerful, machine-learning powered Pixelmator Pro with a redesigned one-windowed appearance and Dark Mode support is also available on Mac App Store in exchange for $59.99. Pixlemator Pro was refreshed recently, too. The massive update brought the same HEIF export option to Pixlemator Pro as featured in today’s refresh to the regular app, plus many other useful enhancements like Export to Web, machine learning-powered Auto Color Adjustments, Touch Bar support and a whole lot more.